Are you looking to increase your sales and cut your costs? The secret to making this happen is finding out where your traffic comes from, what they’re responding to, and what’s causing them to abandon your site. Small Business SEO Success can set help you set up website analytics and tracking to convert more of your traffic into profits. With advertising costs and marketing expenses rising, it’s important to make the most out of your budget. At Small Business SEO Success, our philosophy is that data is the key to creating successful marketing campaigns. We use web analytics data to pinpoint areas of your marketing that can be improved while also integrating your offline marketing experiences for optimal results. Ever wonder why your visitors aren’t signing up for your offer, why they’re not buying your products, or why they’re ignoring your messages? While most business owners already have tracking and analytics set up, they don’t know how to make sense of it. Like most business owners, you’re probably aware of your site’s potential of becoming a sales generating machine but can’t figure out what action steps to take. 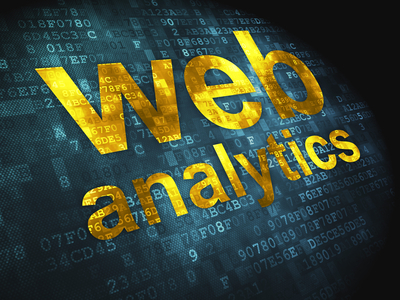 Our team specializes in web analytics data and can give you in-depth insights about your website that you were probably unaware of. They can give you actionable advice on how to maximize your site for higher lead and sales conversions. We’ll also help you identify opportunities to increase your site traffic, improve visitor behavior, and maximize engagement on your site. The biggest flaw of traditional analytic solutions is that while they can provide all the raw data you need, they cannot recommend the right action to take. It takes a lot of time and experience to study the analytics and create a solution to improve your results. The key to making this happen is human expertise. We at Small Business SEO Success have a team of expert analytics and online marketing experts make sense of the data and transform it into actionable steps for improving your marketing campaigns. Here are a few questions you should ask yourself if you already have installed. The goal here should be to come up with the answers as you look through your analytics data. Which traffic source is the most valuable to your business? Which areas of your landing page can you improve for better conversions? Which of your web pages can you leverage to generate more leads and sales? How should you reallocate your budget to get the highest return on investment? You have to remember that marketing data alone cannot tell you what action to take. To succeed with your website, you’ll need people who can study the data and turn it into valuable information that you can use to grow your business. Michael Gerber’s E-Myth teaches the concept of working on your business, not in it. To build a successful business, you have to focus on growing your business rather than getting involved in all the little details such as customer service and analyzing web traffic data. If you feel like figuring out web traffic analytics is the best use of your time, then you can find many useful tips and strategies in our blog. However, let us take this challenge off your hands if your time can be better spent on your core competencies. Take advantage of our marketing services by contacting Small Business SEO Success today. Learn more about how our online analytics consulting services can help you take your business to the next level.